At the Back to Health Wellness Centre, our health care team is committed to helping you attain a level of better health. Back to Health is the place to go when your health really matters. We enjoy educating our patients on a healthier lifestyle, and on the proper habits of daily living, such as sleeping, working and sports-related habits. We will work with you to increase your optimal health, restore function, reduce pain, and help you to age gracefully. Your progress is monitored and reported to you in follow-up assessments. Our team will involve you in the healing process, be it through at-home exercises, by checking your daily habits, or through healthier eating. Our goal is to aid your whole family in leading a healthier life, and that means having a strong musculoskeletal system and supporting structures. Dr. Barbara Rodwin has been a runner since 1978 and has participated in numerous marathons. She also is a triathlete, and has completed numerous half Ironman’s and 10 Ironman’s. Dr. Rodwin has been a long-distance cyclist since 1985. Her philosophy is that if you have a goal, then with focus, training, and perseverance, you will be able to attain that goal. No matter what your goal is, Dr. Rodwin feels that with the proper training, guidance and fortitude you will be able to attain that goal! She feels that fitness is an important part of every person’s life, and likes to balance this with her professional life. Just as all individuals have their own unique set of symptoms and underlying causes there is no “formula” for the recovery of good health, but there are guidelines. Dr. Barbara Rodwin feels that when working with a patient it is a team approach that aids in creating a realistic, individual treatment plan, which represents a true commitment to change for the better. Dr. Barbara Rodwin’s goals are to help you be free of pain, gain mobility, be able to perform whatever your goals are and to feel more energetic. You will work closely as a team with Dr. Rodwin to be able to attain optimum body function throughout the entire skeletal system, muscles, ligaments, tendons and nervous system, which will result in a new awareness of your body’s natural state of health and vitality. Dr. Rodwin enjoys educating patients’ on the proper ways to sit, sleep, stand, drive in a vehicle, lift, climb stairs, perform sporting activities and any other daily activity that a patient has difficulty with. You will often see her checking a patient’s seat in a car, watching them climb stairs, walk, run, cycle, and numerous other activities in order to help with their health issue. Dr. Rodwin loves to go that extra mile for a patient! She feels if a patient understands the normal way to go about an activity there is less of a chance of re-occurrences of the condition being treated, that the patient then can work with their body in a normal fashion. A patient will then will have less physical stress on the bones, muscles, ligaments, tendons and nerves. Dr. Rodwin has a threefold approach to her field – treatment, prevention and maintenance – with an emphasis on overall health. She specializes in the treatment of headaches, migraines, concussions, neck, back, and extremities (such as the jaw, shoulder, elbow, wrist, hip, knee and foot), and conditions related to pregnancy, whiplash, and car accidents. Being active in sports, she is better able to understand and treat many types of sports injuries, including: running, cycling, swimming, tennis and other racquet sports, rowing, climbing, hockey, figure skating, gymnastics and golf injuries and conditions, and is able to help prevent such injuries from occurring. Since graduation, Dr. Rodwin has been active within the chiropractic profession, serving on the Board of Governors at the Canadian Memorial Chiropractic College for six years. Prior to this, Dr. Rodwin was vice president and president of the Eastern Ontario Chiropractic Society. More recently, Dr. Rodwin received recognition from the Eastern Ontario Chiropractic Society and the Board of Governors of the Canadian Chiropractic College for her commitment and continued involvement with chiropractic. Dr. Rodwin has served with such organizations as the National Capital Junior Board of Trade, the Women’s Business Network of Ottawa and Big Brothers and Big Sisters of Canada. She has served on the organizing committee for the CIBC Run for the Cure. She consults with several organizations, such as the Military Family Resource Centre, and she works with the Ottawa Public Health Department to develop programs. She gives lectures to various federal government departments, the Running Room, Sports4 and other organizations suited to their individual needs. Her lectures include such topics as: how to sit properly; lifting techniques; the shoulder anatomy and injuries; the biomechanics of running, swimming, cycling and golfing; ergonomic assessments of work stations; and stress management. She has implemented cost-effective stretching programs at local hotels for housekeeping staff, one of which reported a decrease in the number of on-the-job injuries incurred. Is a graduate of the Canadian Memorial Chiropractic College with a Doctorate in Chiropractic. Is certified in the Active Release Technique (upper body, lower body, spine, nerve entrapments and the Master’s program) and trigger point therapy. Is certified in cranial adjusting, known as the C.A.T.S. technique, Cranial Adjusting Turner Style. Has obtained a master’s certificate in Clinical Anatomy. Is certified in acupuncture, acupoints, and acupressure. Holds advanced training in biomechanics (the study of the body during motion and at rest). Specializes in gait analysis and orthotic fittings. Has the most up-to-date equipment for patients with disc herniations. Has the latest physical therapy modalities for acute and chronic care and for sports injuries. Originally hailing from Northern Ontario, Sarah has always had a great passion and respect for nature. After indulging her inner science geek and completing a degree in Genetics and Biochemistry at the University of Western Ontario, it only made sense to bring these interests together. She went on to study at the Canadian College of Naturopathic Medicine, and has been happily practicing as a Naturopathic Doctor ever since. She is passionate about establishing the fundamentals of healthy living, especially fitness and nutrition. She has previously taught group fitness classes, and has dabbled in several sports and activities over the years, including rock climbing, triathlon, and weight lifting. In 2009, she participated in a cross-Canada long distance cycling adventure as a national rider with the Sears National Kids Cancer Ride, which raised funds for the cause of childhood cancer. 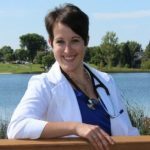 As a doctor, Sarah believes strongly in the power of education, and strives to arm her patients with the knowledge they need to take charge of their health. She is also passionate about collaborative care, both in terms of the patient-doctor relationship, and in terms of working alongside other members of a patient’s healthcare team to ensure that they receive the best possible treatment and outcomes. She truly enjoys working alongside her patients to ensure that they reach their goals in a way that works for them as an individual. Outside of the clinic, she can often be found working in her herb and vegetable garden, foraging for medicinal herbs, reading, playing one of her instruments, listening to podcasts, or attempting her latest creative DIY project. Jessica Nepton is a graduate of the three-year Massage Therapy Program at Algonquin College. She also has a diploma in General Arts and Science – Pre Human and Community Studies. She is passionate about her profession, and believes that you should never stop learning. She is up to any challenge, but isn’t afraid to ask for help if necessary. She works with her patients to ensure they receive the best care possible. Her massage therapy training included extensive study in anatomy, physiology, pathophysiology, massage theory, professionalism, ethics, and proper home care in relation to cardio, stretching and strengthening exercises. She also completed several other health-related courses, including hydrotherapy. Jessica is a member of the College of Massage Therapists of Ontario. Jessica has worked with a wide range of clientele and injuries, including sports injuries, developmentally handicapped individuals, seniors, restrictive scars, tendonitis, muscle tension, headaches, adhesive capsulitis, carpal tunnel syndrome, Iliotibial band syndrome, nerve problems, spinal cord injuries, and pregnancy. Jessica takes pride in working with her patients in a therapeutic and nurturing manner. Ashley is a graduate of the three year Massage Therapy program at Algonquin College. She is also a member of the College of Massage Therapists of Ontario (CMTO), and a member of the Registered Massage Therapists Association of Ontario (RMTAO). Ashley’s approach to the healing process is that it’s a continuous and creative journey that changes and flows with time. Having dealt with injuries and rehabilitation processes herself, she understands how hard it can be sometimes to continue with everyday activities while recovering from an injury. Her goals in massage therapy are to act as a facilitator to guide and help her clients through their own definition of health and recovery in a safe and proficient manner. She also feels it’s important to help people follow through with their passions in a preventative and pain-free way. She does this with thorough assessments, treatments, and home care. Ashley has helped a wide variety of patients recover from: neck, back, shoulder, elbow, wrist, hip, knee and foot issues; scar tissue injuries, pinched nerves/nerve compression/crush injuries, sports and running related injuries, iliotibial band syndrome, runners knee, Patello-femoral issues, pes planus (flat feet), Sciatica, Temporomandibular joint dysfunctions (TMJ/Jaw), thoracic outlet syndrome, respiratory pathologies, and scoliosis. She has also worked with pre- and post- natal mothers and has performed deep tissue and relaxation massage. She is certified in a myofascial technique for deep tissue work as well as Chinese Cupping Therapy. In her spare time she enjoys cooking different varieties of food, painting, sketching, crocheting, and doing anything artistic. She also loves spending time with her family and friends. To keep fit, mobile, and to constantly challenge herself she enjoys hiking, kayaking and traveling. Her personal goals are to keep learning, moving forward day by day, and to bring a little more joy and energy into everything that she does. Through massage therapy she hopes to share her experience and positivity in any way she can. After spending several years in the Canadian Forces followed by several more in the Federal Public Service, Andrew turned his attention to matters of health and wellness. He completed his Massage Therapist training at Kiné Concept Institute in Ottawa and was licensed by the College of Massage Therapists of Ontario in 2006. The health studies continued a process which Andrew began years earlier when he had resolved to make changes in his life. He first made dietary changes that resulted in substantial weight loss. Shortly afterward, feeling stronger, he seized the opportunity to fulfill one of his life’s goals: travel to Spain and walk 500 miles on the pilgrim’s route to Santiago de Compostela. Returning lighter and stronger, Andrew aimed for another life goal: long-distance running. Having never seriously pursued it before, he found the nearest Running Room store and enrolled in a clinic to prepare for the 2002 National Capitol Marathon (42.2 kilometres). He completed it and has since completed nine others, including the Boston Marathon. Due to his running career, Andrew came to learn of the benefits of Active Release Techniques.Poor training habits had led to some nagging muscle pain which conventional therapies couldn’t relieve. The effect and benefits of ART treatment were so clear and immediate that he pursued extensive ART training after becoming a Registered Massage Therapist (RMT). Few RMTs in the Ottawa have as extensive ART training as Andrew. His certifications include ART Full Bodypractitioner (Upper Extremity/Lower Extremity/Spine), plus Biomechanics, Nerve Entrapment, Active Palpation and Masters training with the Active Release Institute. Since 2008 Andrew has volunteered continuously with walking and running clinics at local Running Room stores where he can be frequently found giving talks on topics such as injury prevention, training techniques and stretching. As a Registered Massage Therapist, Andrew approaches his goal of patient health by helping them achieve and maintain pain-free movement. 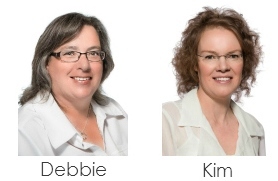 Our front office staff are the first people you will see and talk to at Back To Health.